Loan amount: Business loan rate in Bajaj Finserv depends upon the loan amount you apply for. Higher the loan amount, lesser will be the interest rate. Bank gives loan of minimum Rs. 5 Lakh to upto Rs. 30 Lakh. Interest rate for high loan amount can be lower resulting in lower EMIs. 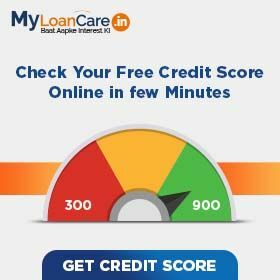 CIBIL Score: Bajaj Finserv offers loan at higher interest rate if your CIBIL score is low or vice versa. However, to get loan from Bajaj Finserv, your CIBIL score should be atleast 700. Higher the CIBIL Score, higher the chances of getting a loan at lowest business loan interest. Revenue: Bajaj Finserv will offer you loan at lower interest rate if you have higher monthly revenue. Bank gives loan to the borrowers whose annual turnover is at least Rs. 12 Lakh. Time in Business: Bajaj Finserv offers loan at lower rates if you have significant business experience. Minimum business existence to get loan from Bajaj Finserv is 36 months. Age: Age plays an important role to know your eligibility and repayment capacity. Bajaj Finserv offers loan to those who are at least 25 years old at the time of loan approval and maximum 65 years at the time of loan maturity. Loan Amount: Based on the loan amount eligibility, bank gives you loan ranging from Rs. 5 Lakh to Rs. 30 Lakh. To improve chances of approval, apply for a loan amount that you can comfortably service. Profitability and Revenue: Loan eligibility significantly depends upon profitability on your turnover, revenue and profitability. Bajaj Finserv requires profit for minimum 2 years and minimum business turnover of Rs. 12 Lakh. Business Stability: Future business prospects and its stability is important to improve your eligibility for business loan. Bajaj Finserv requires minimum business track record of 36 months. The bank will also look for minimum growth in sales for the last three year. A decline in sales for a certain period or below a certain limit might impact your eligibility to get loan. ITR and Banking: Bank gives loan only after checking your income tax return and bank statements. Your ITR details for minimum 0 months and bank statement for minimum 1 months will be required by Bajaj Finserv. CIBIL Score: When checking loan eligibility, Bajaj Finserv will look at the complete CIBIL report. Bajaj Finserv will check your repayment history for all current and past loans and credit cards. Bank advise you to maintain a score of 750 and above to get loan approval. Interest Rate: Higher the interest rate, higher will be the EMI. For a 48 months loan from Bajaj Finserv at an interest rate of 18.00% per annum, EMI will be Rs. 2,937 per Rs. one lakh loan amount. At an interest rate of 20.00% for the same loan, the EMI will be Rs. 3,043 . Loan tenure: Longer the loan tenure, lesser your smonthly EMI. At interest rate of 18.00% per annum, the EMI on Bajaj Finserv business loan would range from Rs. 9,168 to Rs. 2,937 for loan tenure ranging from 12 to 48 months. Amount Borrowed: Bajaj Finserv Loan EMI will be high if you apply for a high loan amount. For amount borrowed Rs. 5 Lakh, the EMI at 18.00% for 48 months would be Rs. 14,687 . Similarly for amount borrowed Rs. 30 Lakh, the EMI at 18.00% for 48 months would be Rs. 88,125 . This loan is availed if you want to expand your scale of operations, need fund for equipments or other business needs. 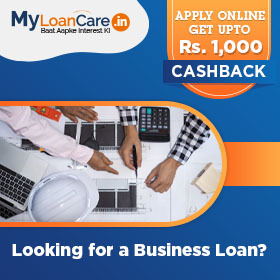 Why to take business loan from Bajaj Finserv ? Bank offers loan at 18.00% rate with the lowest EMI of Rs. 2,937 per lakh. If you are paying EMI more than this then you can opt for balance transfer and relocate your loan to Bajaj Finserv. What is the interest charged on Bajaj Finserv business loan? Interest rates on Business loan in Bajaj Finserv are very attractive starting from 18.00% to 20.00%. Bank offer various offer for self employed professionals to get loan at very low rate of interest. What is the lowest EMI per lakh on business loan from Bajaj Finserv ? If you apply for loan from Bajaj Finserv, your lowest EMI per lakh will be Rs. 2,937 . What is the minimum and maximum tenure of business loan in Bajaj Finserv? How much business loan amount I can borrow from Bajaj Finserv? Bajaj Finserv offers you loan if you need a minimum amount of Rs. 5 Lakh to a maximum amount of 30 Lakh. What is the processing fee charged by Bajaj Finserv on business loan? Bajaj Finserv charges a processing fee of Upto 2% of loan amount with applicable tax. Is age an eligibility factor to get loan for business from Bajaj Finserv ? What are the prepayment charges on business loan from Bajaj Finserv? Bank charges a fee in case you want to repay your entire loan amount before the end of tenure period. The fee charged by Bajaj Finserv is 4% . Bajaj Finance is set to infuse 10,000 crores into its wholly owned mortgage lending arm Bajaj Housing Finance during the month of March 2019. The funds granted to them will help them to further expand their housing finance business. The company also has plans to strengthen its housing and business loans portfolio this year with the rise in the number of home loan disbursements. One of the leading NBFCs, Bajaj Finance has been assigned a long-term issuer credit rating of BBB with a stable outlook and A-3 short-term issuer credit rating by S&P Global Ratings on January 31, 2019. According to S&P Global Ratings, NBFCs comfortable capital levels and strong market position drive the ratings of the company which is supported by high margins, low dividend payouts, and periodic capital infusions to support rapid growth. Due to a sharp growth of business loans in the recent past, Bajaj Finserv has acquired more than 50,000 new SME customers from 350 cities across the country. It has reported a 23% growth in the volume of business loans in the first quarter of FY18. One of the leading NBFCs, Bajaj Finance has reported a significant growth in its net profit at Rs. 602 crore during the first quarter of FY18 as against Rs. 424 crore during the corresponding quarter of the previous fiscal year. As per the available data, the bank’s net interest income (NII) rose to Rs. 3165 crore from Rs. 2282 crore during the corresponding quarter of the previous fiscal year. Simultaneously, the NBFC is also targeting to grow its business loan segment. Bajaj Finserv Ltd has witnessed a 18 per cent growth in its business loans during the current quarter of FY17 as compared to Rs. 1,086 crore for the corresponding period a year ago. Simultaneously, the NBFC has managed to disburse loans of Rs. 1275 crore to SMEs during the current quarter. The growth in the demand of its business loans is driven by the increase in the number of SMEs for meeting operational as well as expenditure demands.